Mellow guitar sound is something that’s just getting sought after again. At least when it comes to recording audio. It always had a following though. Also, back at the beginning of the history of electric guitar, it was actually harder to get a harsh guitar sound than a mellow one. Recording technology has gotten that much cleaner. It now allows much more detail to come through. Which sometimes creates problems. Problems that would have remained well covered 40+ years ago. But hey, don’t let that discourage you. So why would you want to get a mellow guitar sound? Because you can, n00b. Duh. Actually, when you play solo guitar, or you’re in a trio, it’s really the way to go. Also when your arrangements are open enough, a biting guitar sound protrudes. Like a sore thumb. In the case of electric guitar (not the guitar case! ), we have a lot of variables. Let’s begin with the guitar and the player. That’s where most people screw it up. Because you don’t need to play with your bare fingers, nor do you need to turn down the tone knob. The former depends on your playing style. If you’re a pick player by default, don’t force yourself to change it just because you desire a mellow guitar sound. Turning down the tone knob somewhat actually dampens the resonant peak of your pickup-cable-amp circuit. That’s a usable sound, but a different one, and without the resonance peak, the sound changes its character. Turning it down all the way shifts the resonance to a much lower frequency. And everything above that peak gets rolled off. Which sounds like a blanket over your cab. If ya wanna get a mellow guitar sound, start knocking the top strings with the side of your pick/nails. Or anything small and reasonably hard (hehe…). Start turning the treble knob until the clicky sound gets softer and quieter. Now do the same with the mids knob, if your amp has one. Most people expect the mids to add some meat and thickness to the sound. 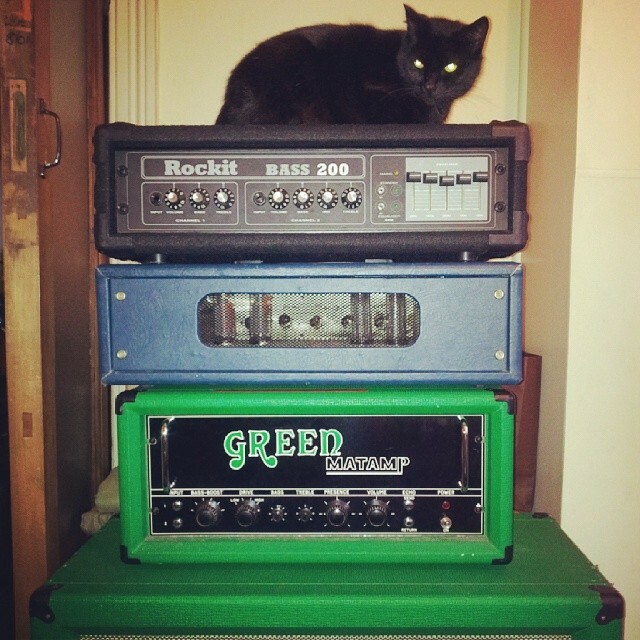 In reality, for most amps it only adds a certain kind of harshness and bite. Now do the same with the hi cut as well, if it’s a VOX style amp. Okay now that we’re dialed in, we just need to capture it. For the mellow guitar sound we’re after, we need to move the mic towards the outer edge of the speaker cone. You don’t actually need a ribbon mic either. Most condensers transfer more details. What many people don’t know is, you can move the mic quite far from the cab. 3 – 5 feet as a starting point. It adds room sound, a natural reverb. That smears the sound and makes it more organic. With the highs (and some of the lows) getting attenuated. Was it hard? Next → Next post: Of all these musical aspects, which one you’re the best at?